Halloween is a great occasion to gather the whole family or friends for a piece of beautiful and terrible, creative and delicious cake. 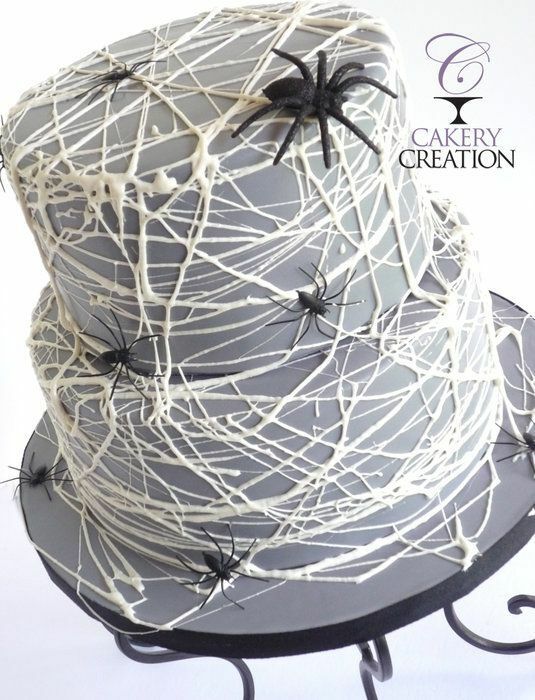 Indeed, the unusual cake decor plays a key role for the spooky dainty, and therefore it is necessary to think about how to make a treat that will be the gemstone of your table. And, by the way, do not forget to consult with your children and find out which cake they would prefer – ghostly? Witchy? Or maybe Jack-o-Lantern pumpkin-shaped? Anyhow, it is a good way to exercise your fantasy. 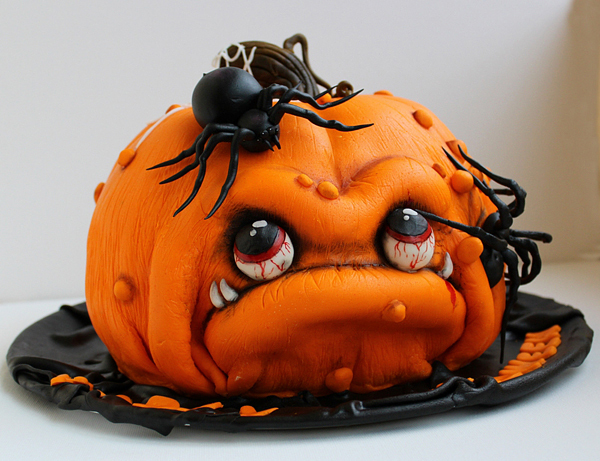 In the meantime, we present you 10 fascinating ideas for Halloween cakes decoration. The base and cream for the treats are up to you. Read and be inspired! There is a place for all the heroes of Halloween on this cake – just look at these spooky playful spiders and very-scary spooky mummy. Be sure that bright colors and thoroughly made figures will be of full delight for all the kids at the table! 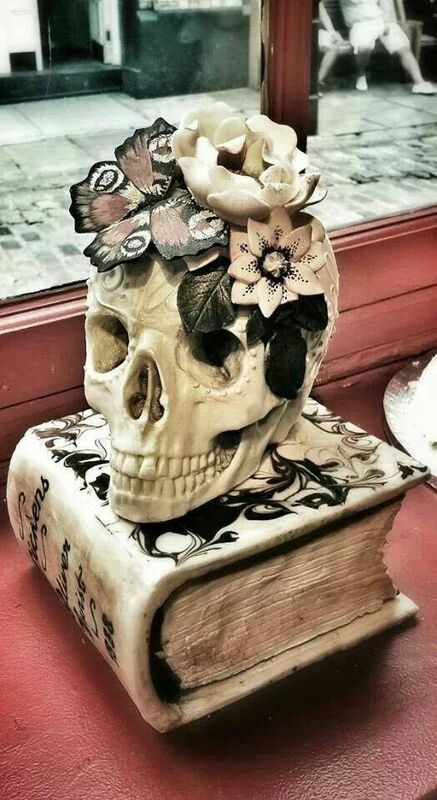 The combination of the skull and the book sounds somehow eerie, but it’s all about your desire for beauty and style of performance. 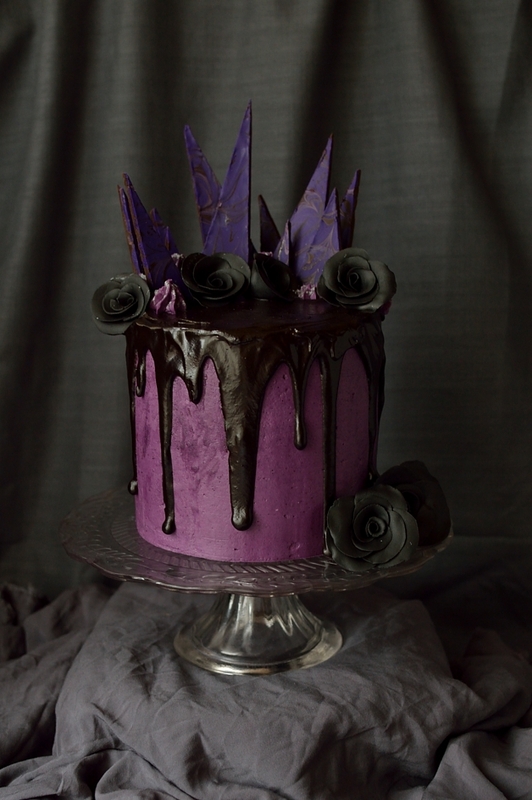 If you decorate your cake in such a manner, it will look original, Gothic…and absolutely appetizing. Sounds weird? Then it’s worth trying! 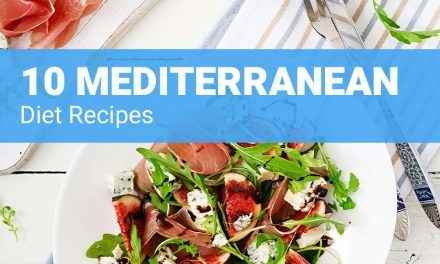 Have you heard that blueberry is a new black? Halloween is a high time to remember the current trends! And of course, do not forget about black roses and chocolate shards of dreams for a Gothic and incredibly elegant feast in the circle of stunning and trendy witches. This is a great cake idea for those who consider himself an outstanding pastry chef. By the way, pay attention to how realistic these eyes and octopus tentacles look in the potion. And those beautiful lights under the pot are amazing, aren’t they? 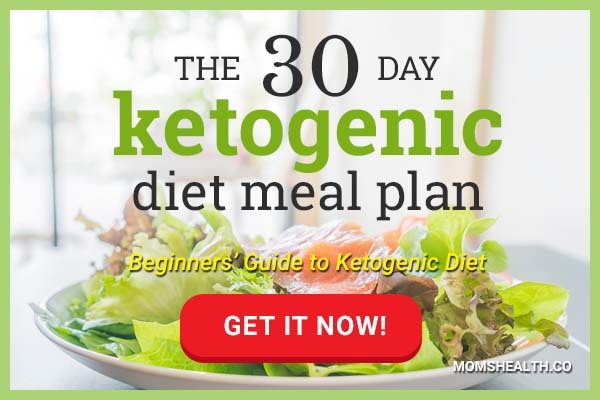 But we are sure that you will do that even better! The design of this cake looks charming thanks to the airbrushing technique. The delightfully disturbing orange sunset color and the cunning cat muzzle at the top create the right impression. 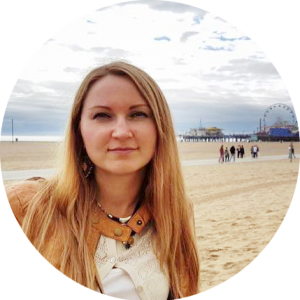 The most unforgettable Halloween is coming! If you think that your feast is lacking a bit of frightening mood, this cute angry pumpkin is sure to create an atmosphere of a creepy cheerful holiday. Making such a cake is a real challenge for an experienced amateur confectioner! Do you remember the Hocus-Pocus movie? It’s time to watch it again this Halloween. 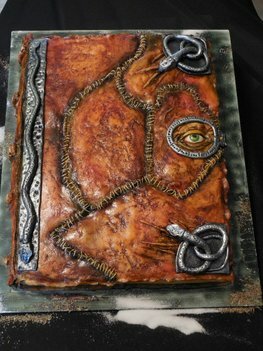 And, of course, enjoy a wonderful cake in the shape of a spell book. 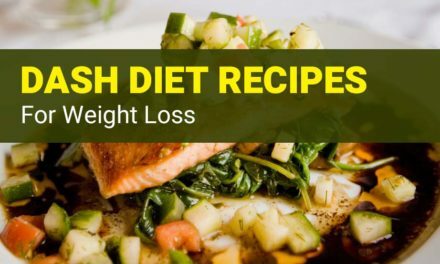 Maybe you will manage to read a couple or two of fun and effectual spells from it? If you think that meringues are good only for something very nice and pretty, this holiday may become a reason to reconsider your view. 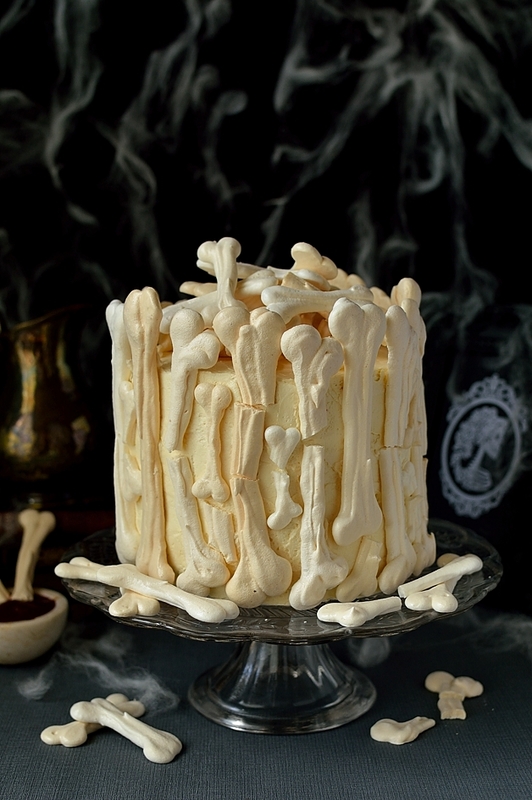 You can hardly call this cake looking like a construction of bones touching, but the dismay and beauty of this Halloween treat cannot be denied. And its wonderful taste as well! If you still do not think of yourself as of a genius pastry chef, this creepy cute cake may become your most successful confectionary debut. 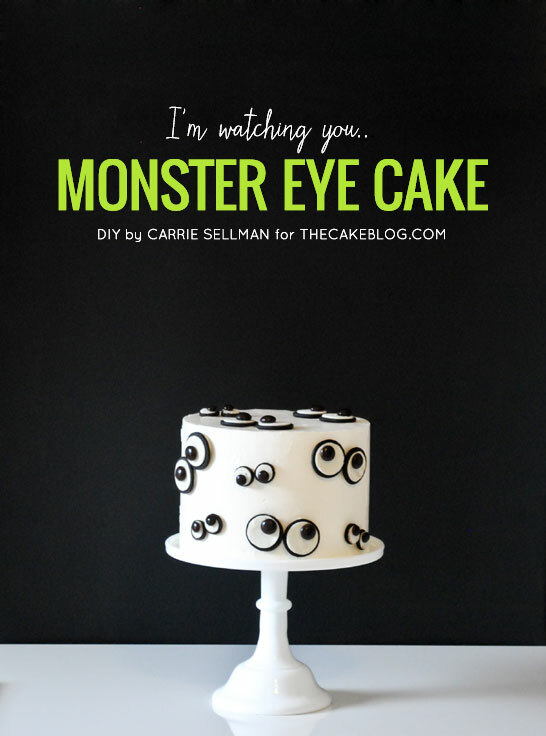 The secret of the easy dainty decoration is the Oreo cookies, that play the role of these lovely monster eyes. This cake will be a great way to try a new decoration technique. Use the melted marshmallow stretching to get the authentic web. 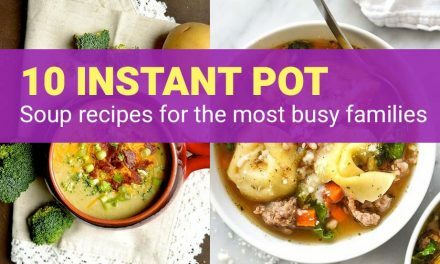 Against the background of gray glaze, it looks inimitably-terribly-appetizing. 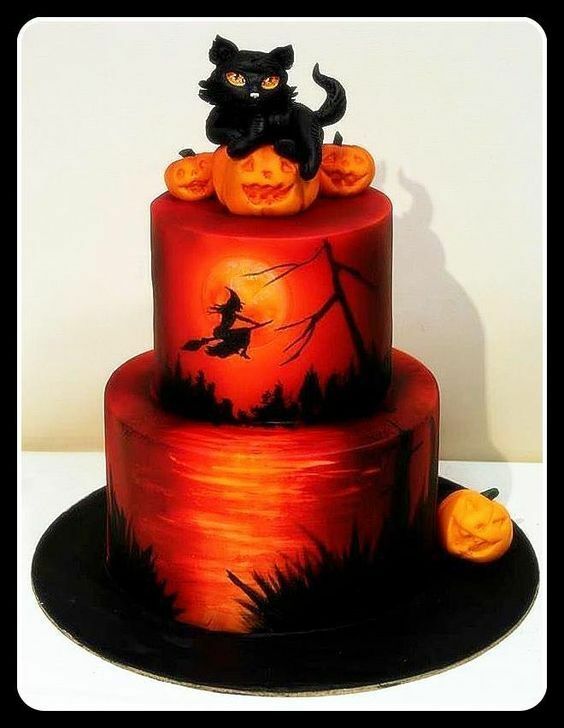 However, there are just a few design options for a Halloween cake, and your imagination is sure to help you. Sweet ghosts, pumpkins, bats, shiny clouds, castles, skeletons, and cemeteries will lead children to a real appetizing horror and rapture. 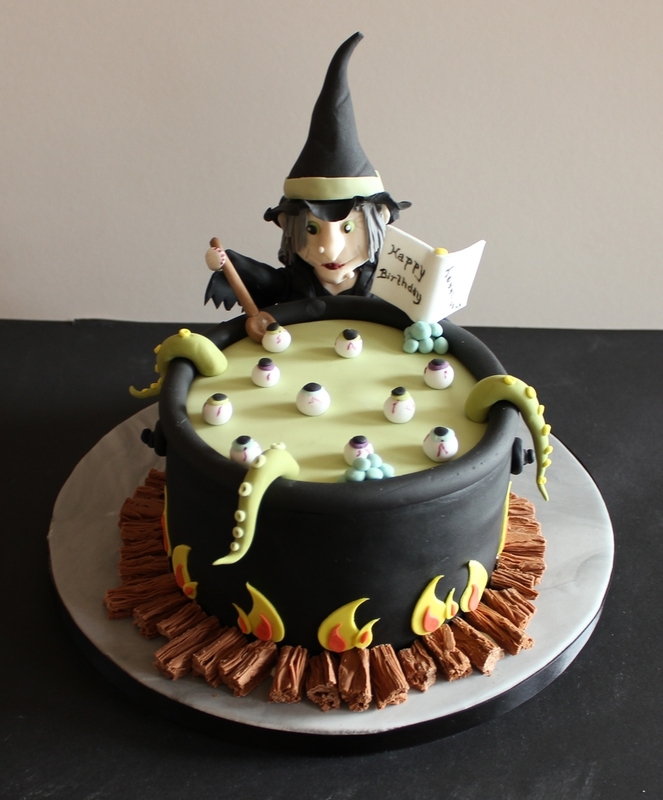 Treat them to a delicious cake of your own, and do not be surprised if they want to celebrate Halloween every day. 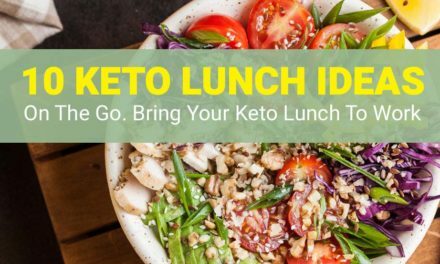 Did you enjoy these ideas? 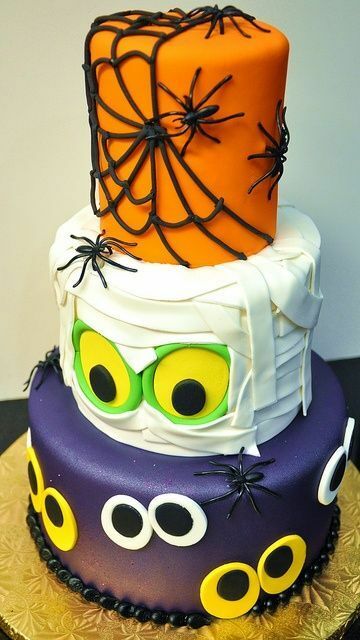 Save THIS PIN to your Halloween Recipes board on Pinterest to check these cakes later or share these ideas with your frieds and family.